Plato's reflection on the relationship between soul and body has attracted scholars' attention since antiquity. Less noted, but worthy of consideration, is Plato's thought on music and its effects on human beings. 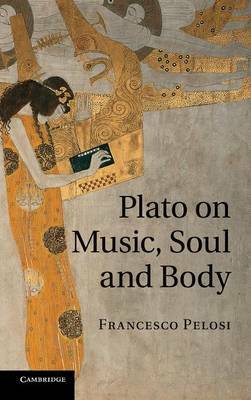 This book adopts an innovative approach towards analysing the soul-body problem by uncovering and emphasising the philosophical value of Plato's treatment of the phenomenon of music. By investigating in detail how Plato conceives of the musical experience and its influence on intelligence, passions and perceptions, it illuminates the intersection of cognitive and emotional functions in Plato's philosophy of mind.